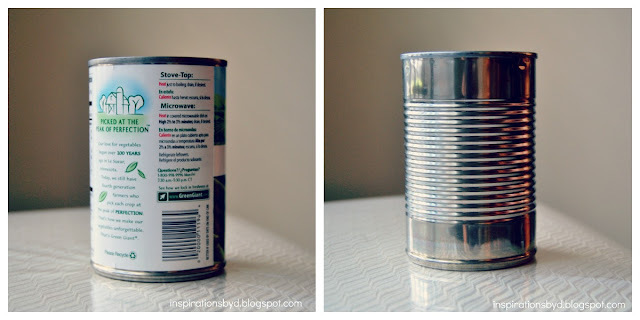 Hello Inspirations by D's blog has a great upcycle DIY for those metal cans you get your veggies or other groceries in. We love this and think it'd make a great gift for someone that loves crafts (ex. YOU!). I purchased scrapbook paper which runs about 50 to 60 cents a sheet. I grabbed a soup sized can from the recycling bin. I Removed the wrap from the can. I Cleaned the can with soap and water and set it to air dry. 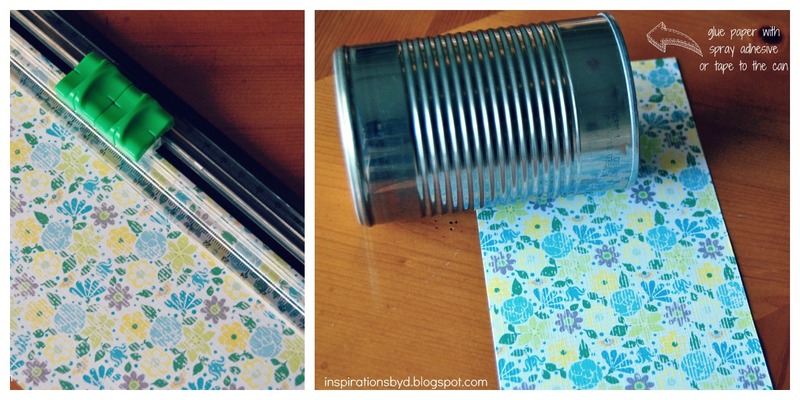 I measured the original can wrap against the scrapbook paper with a ruler. Made marks with a pencil and erased later. Once I had my measurements, started cutting the paper. then wrapped the sheet of paper around the can and sealed it with clear tape, you can use mod podge. Hello new pencil holder and it holds magnets too!! Be creative!! You can add extra decor by using buttons, ribbons and other decorative items.